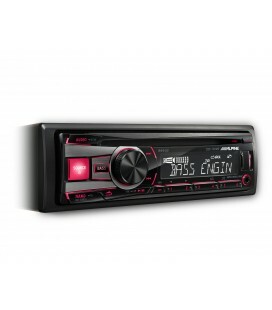 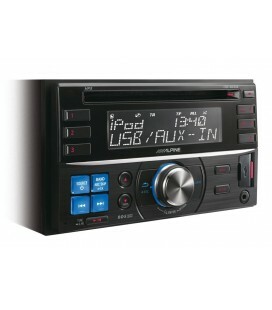 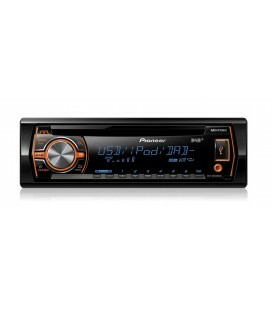 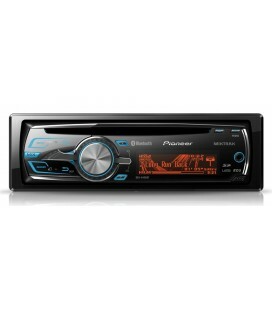 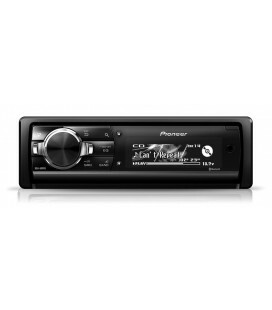 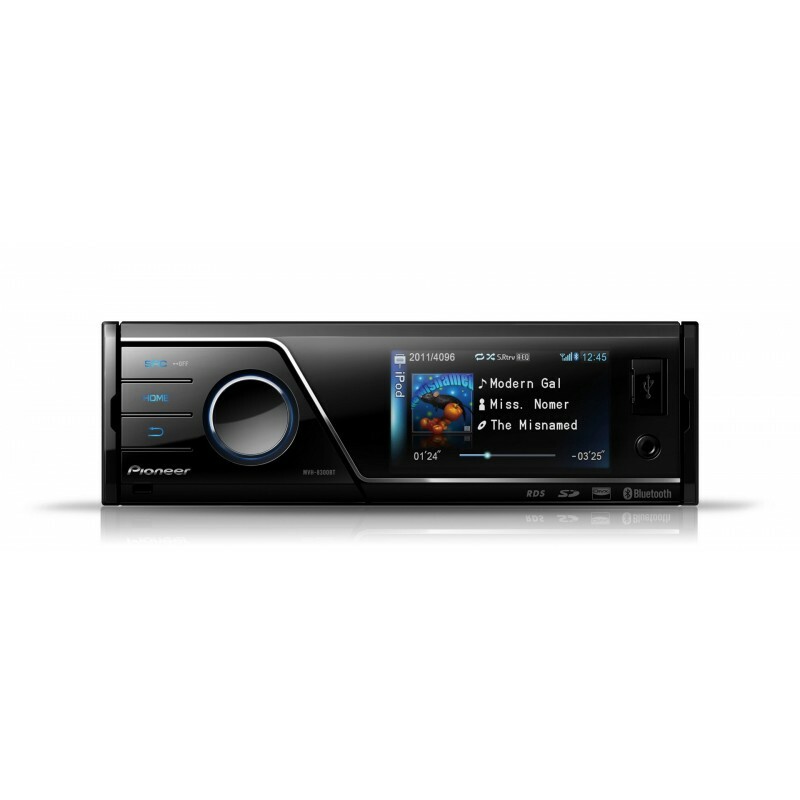 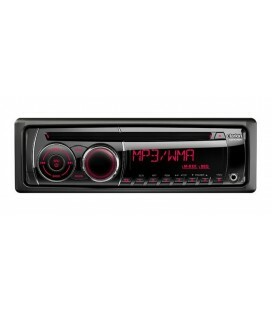 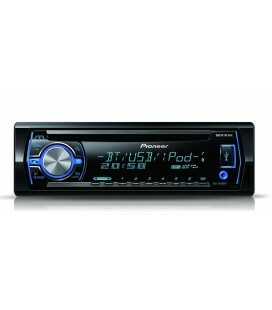 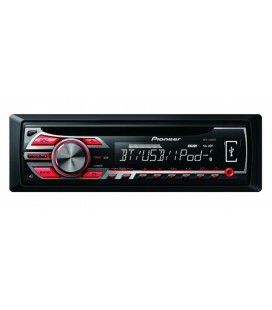 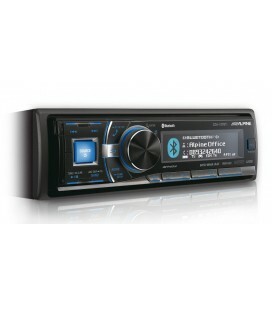 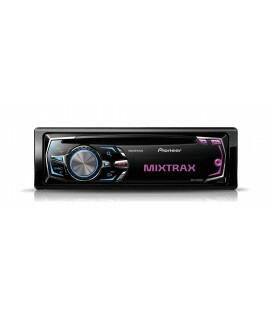 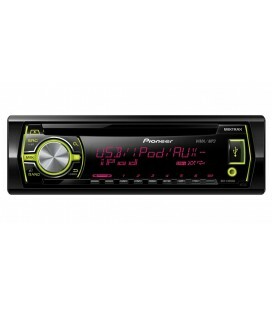 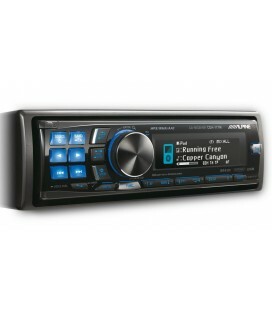 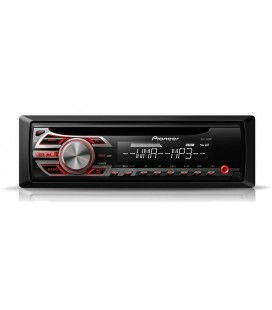 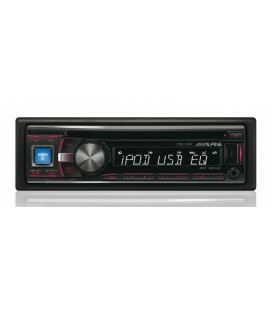 Bluetooth Digital Media Receiver with 3-inch Screen (2011 Model) Step into the future of car tuners. 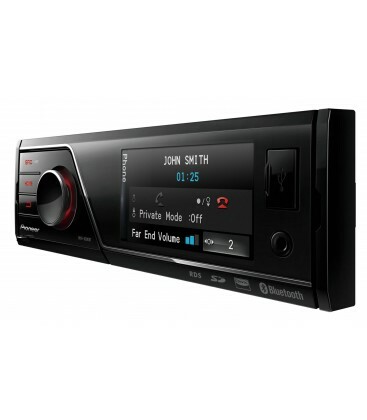 SD CardIf you prefer to play your tunes from iPod, iPhone, USB device, MP3 player and/or SD card, the MVH-8300BT is your solution with smooth integration of all popular formats (except CD). 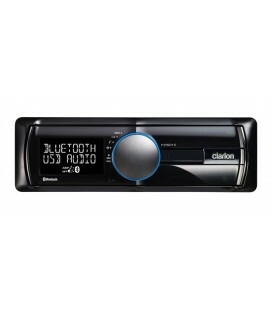 Fully Bluetooth-enabled, you can make and receive calls wirelessly, too. 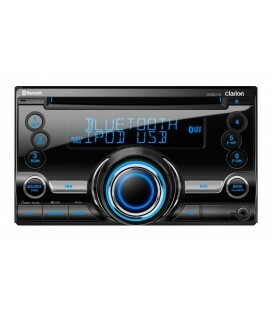 You can benefit from a generous 3-inch screen, which clearly displays playlists, album art, video and more. 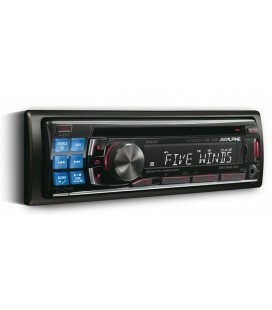 Get direct access to all functions with a 7-way rotary commander which works very much like a joystick, making track selection quick and easy. The USB and aux-in are conveniently located on the front panel; you’ll find the SD card slot immediately behind it (for cards up to 32 GB). 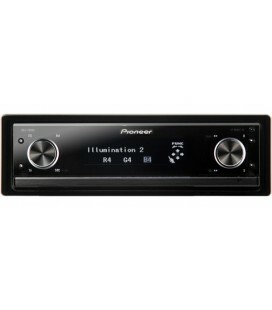 The front panel is partially detachable (a protective carrier case is included) for additional peace of mind. 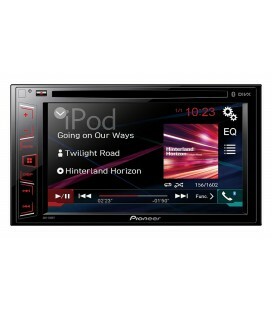 Parrot Bluetooth Module You are guaranteed a perfected sound – no matter what you’re listening to. 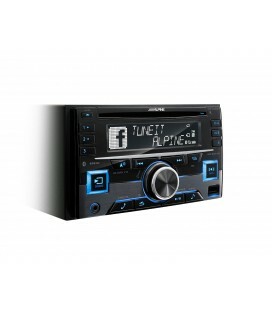 Our system features an easily customisable ‘Sonic Center Control’, which lets you perfectly calibrate and align the audio signal to the listening position. 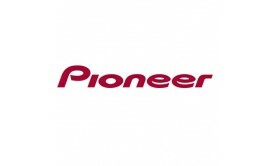 An 8-band graphic equaliser further increases your customisation options. 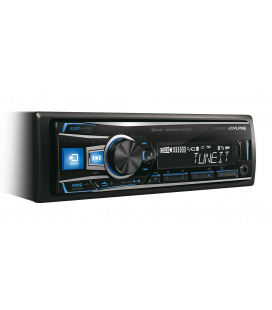 The MVH-8300BT also has 3 hi-volt (4V) RCA pre-outs, so you can boost your in-car setup with additional amplifiers, subwoofers and speakers. 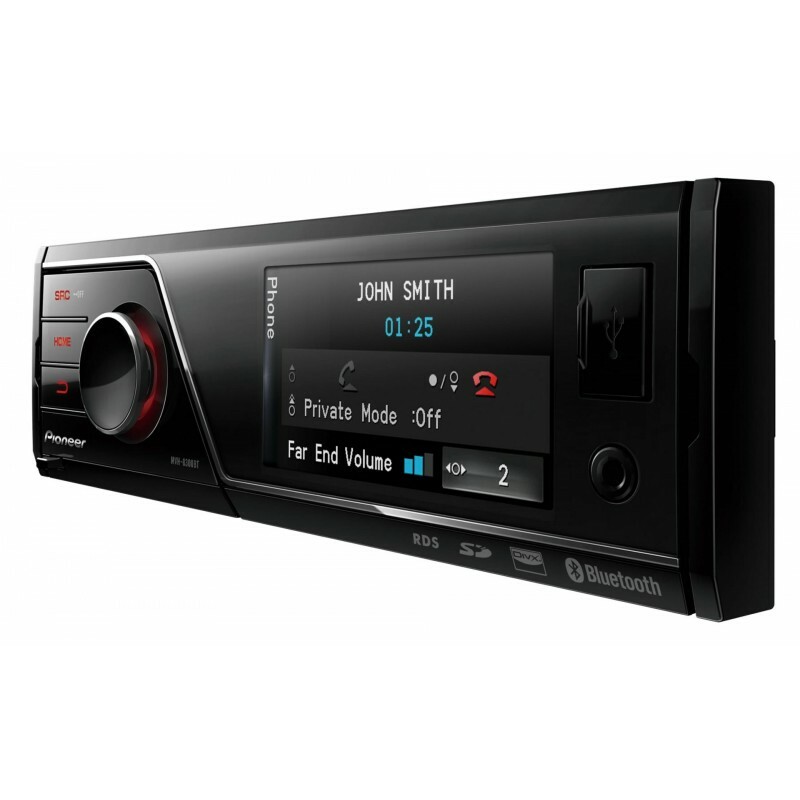 When paired with your Bluetooth phone, you can enjoy safe, hands-free calls. DivX logoThe integrated Parrot Bluetooth module helps you hear conversation through your car speakers, while your voice is broadcast via the high quality external microphone (which is included).